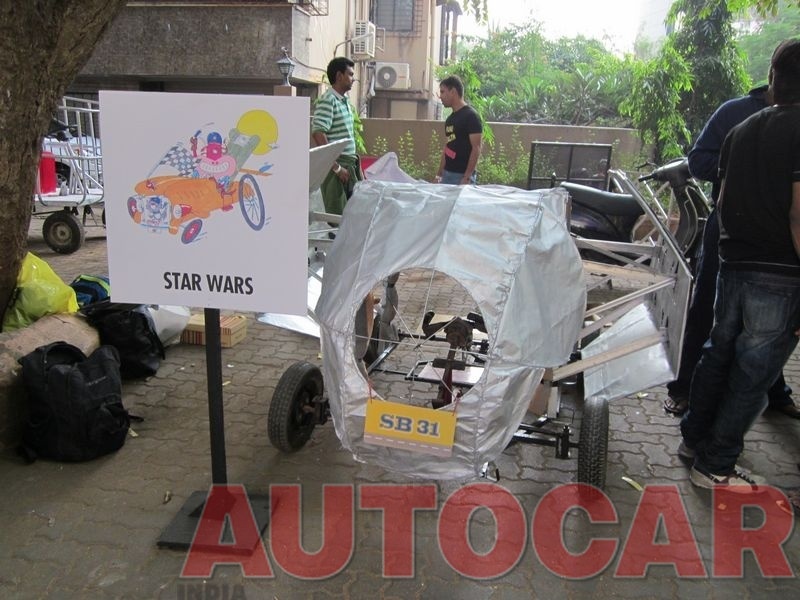 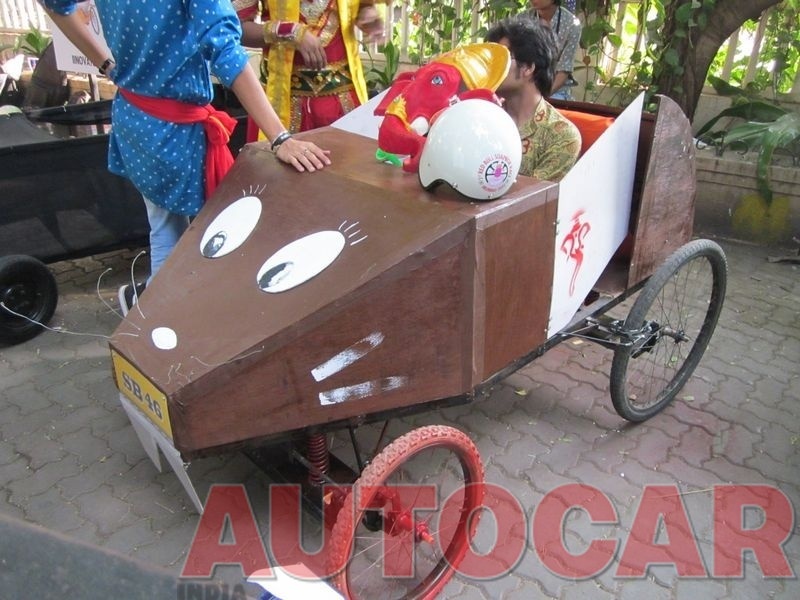 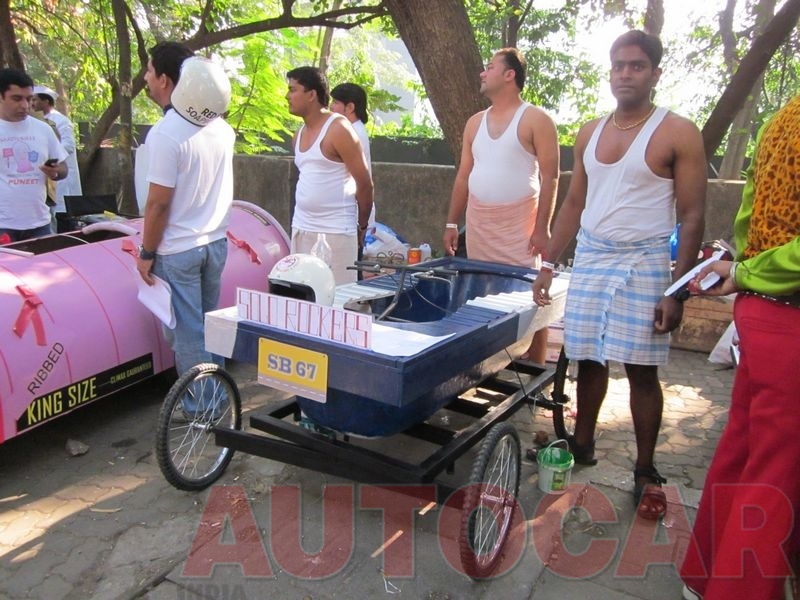 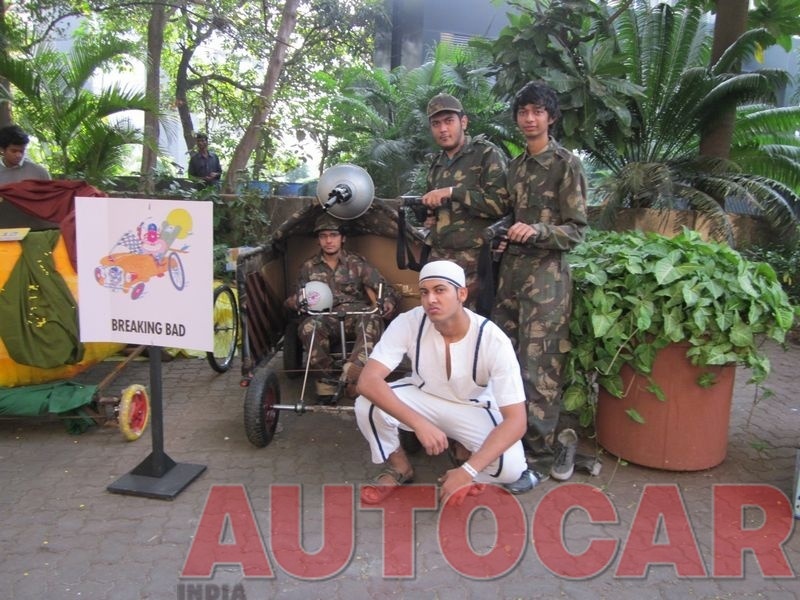 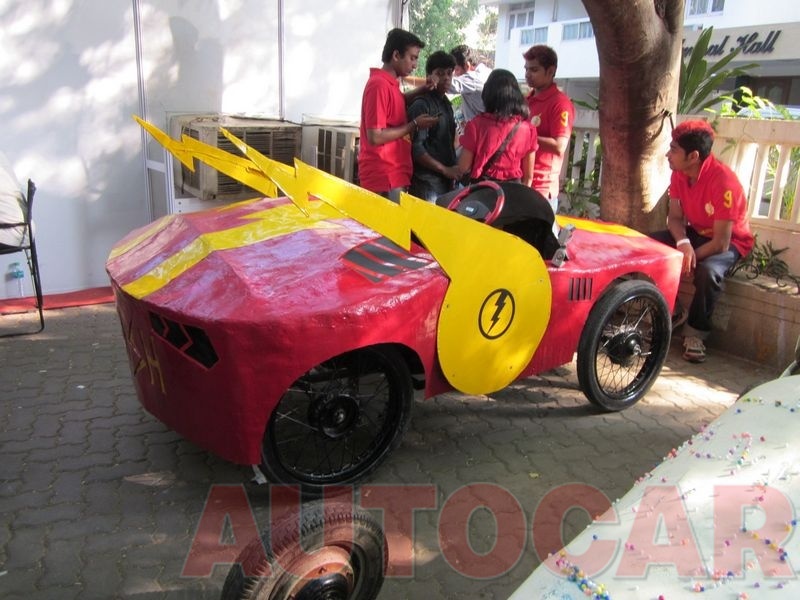 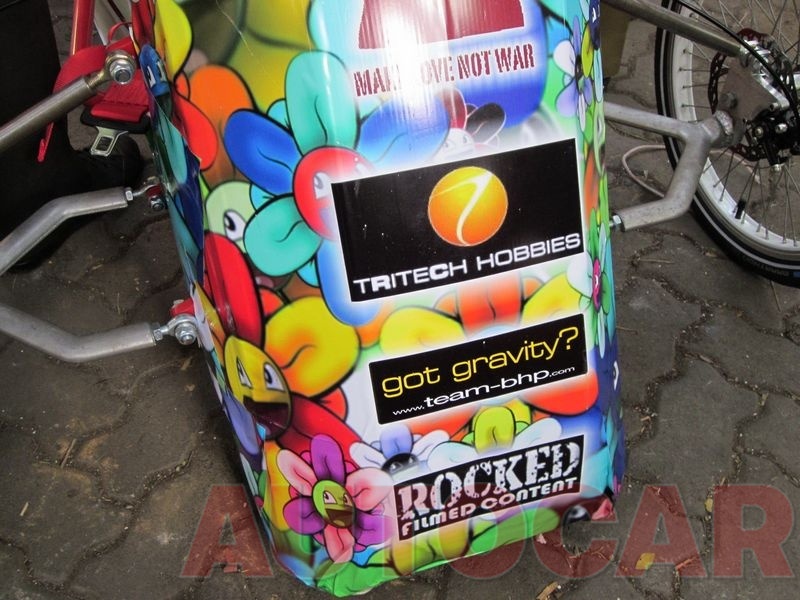 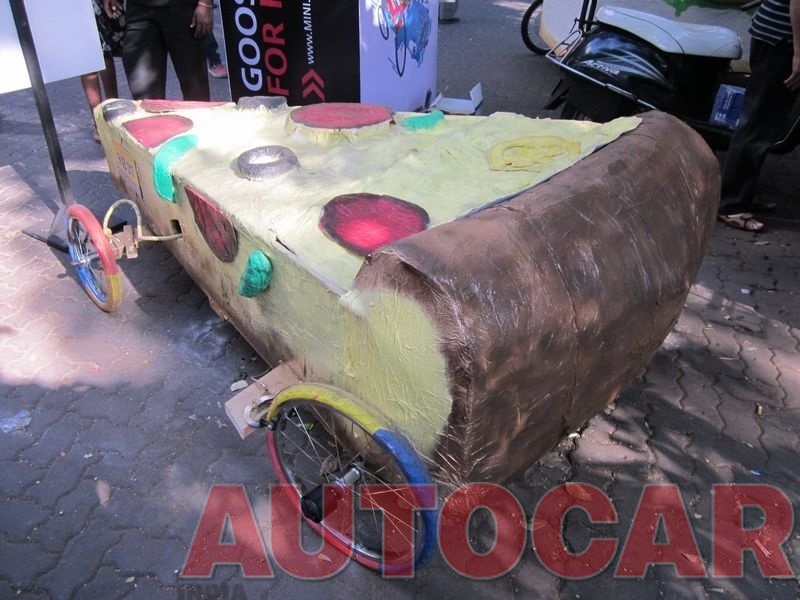 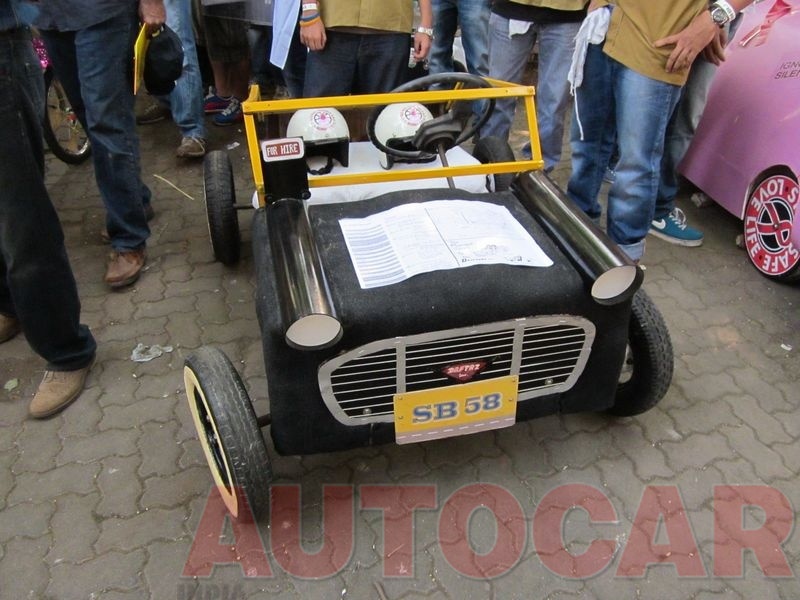 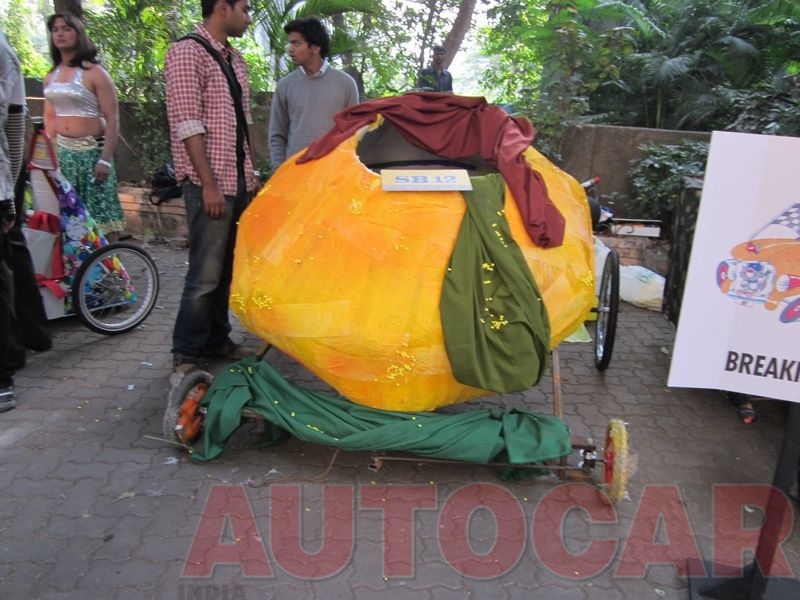 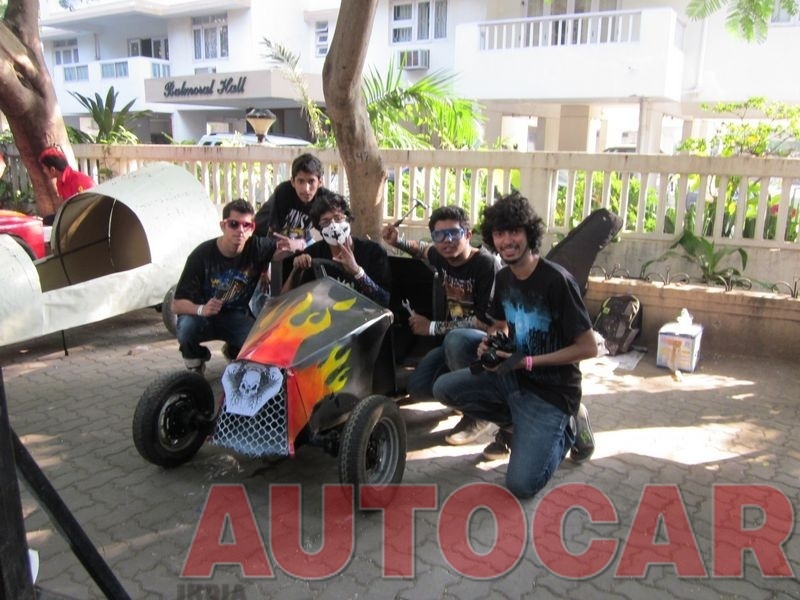 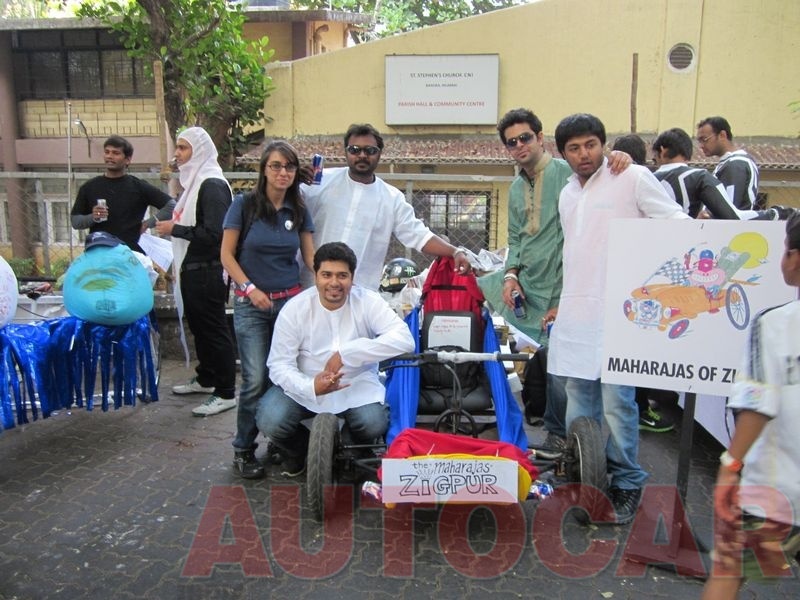 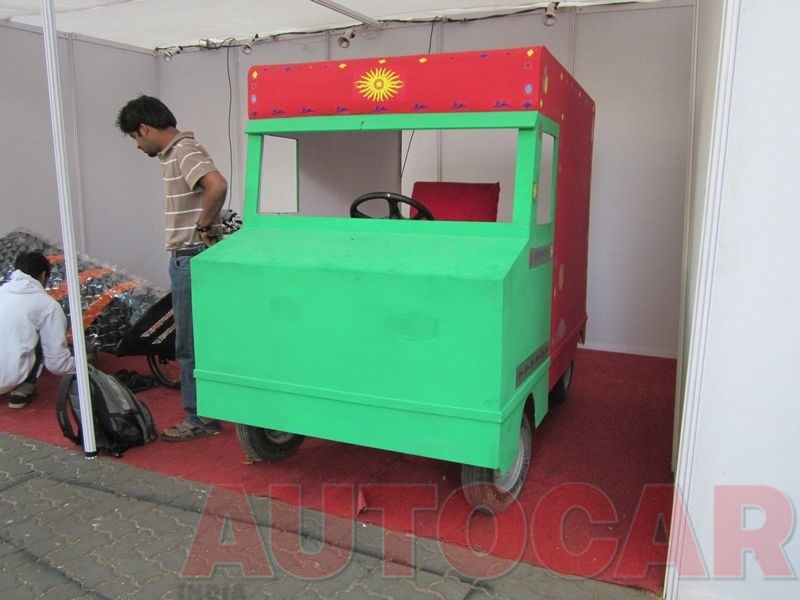 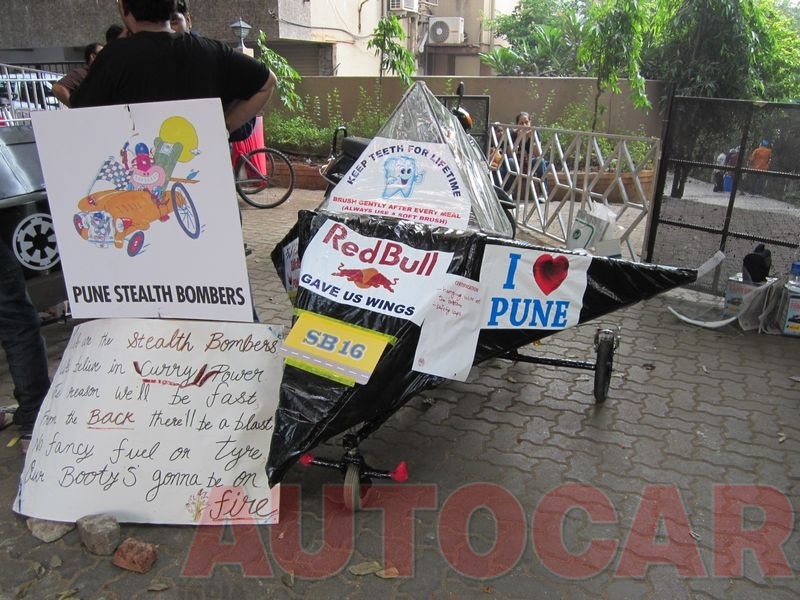 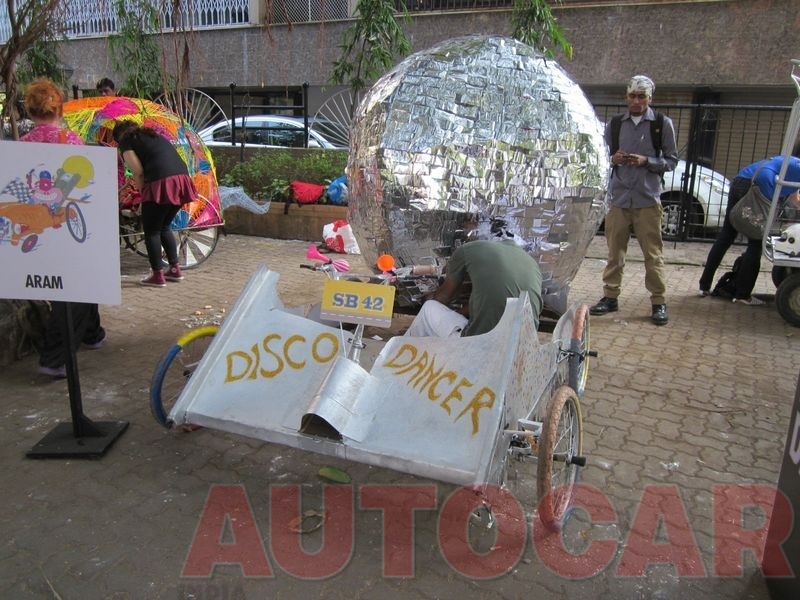 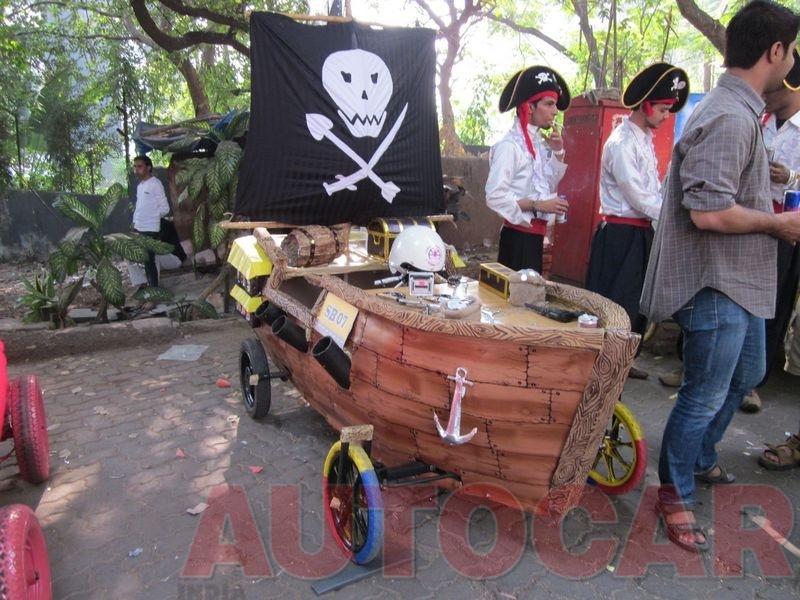 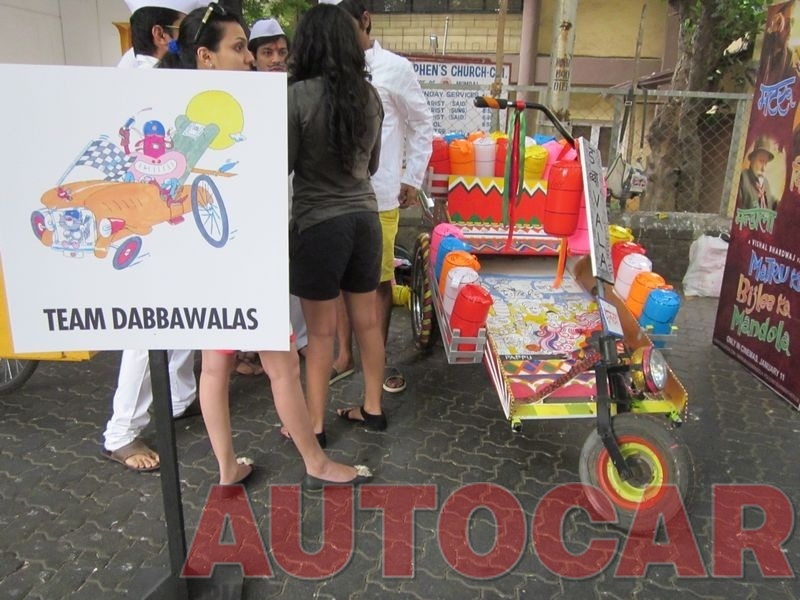 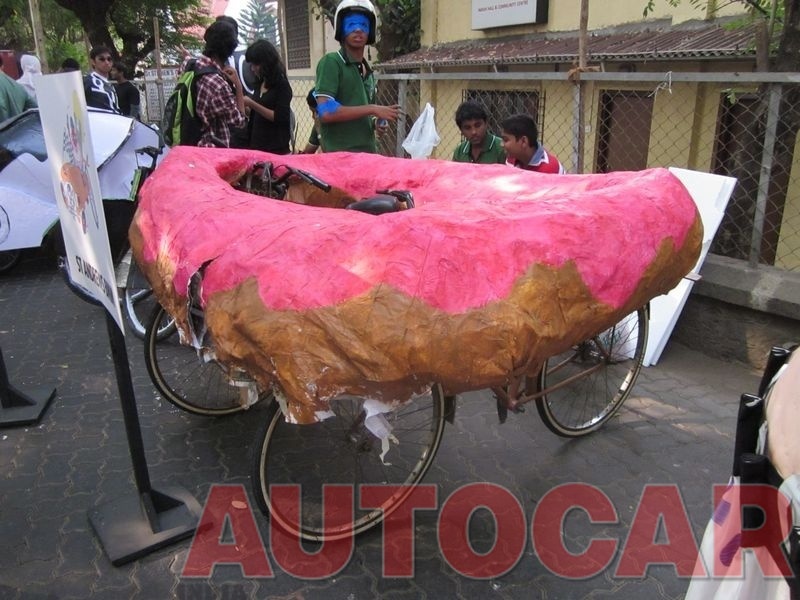 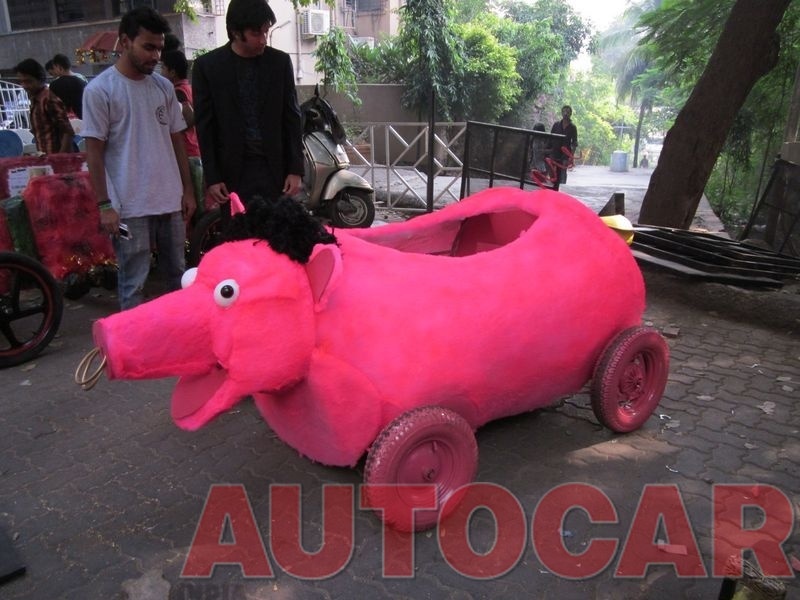 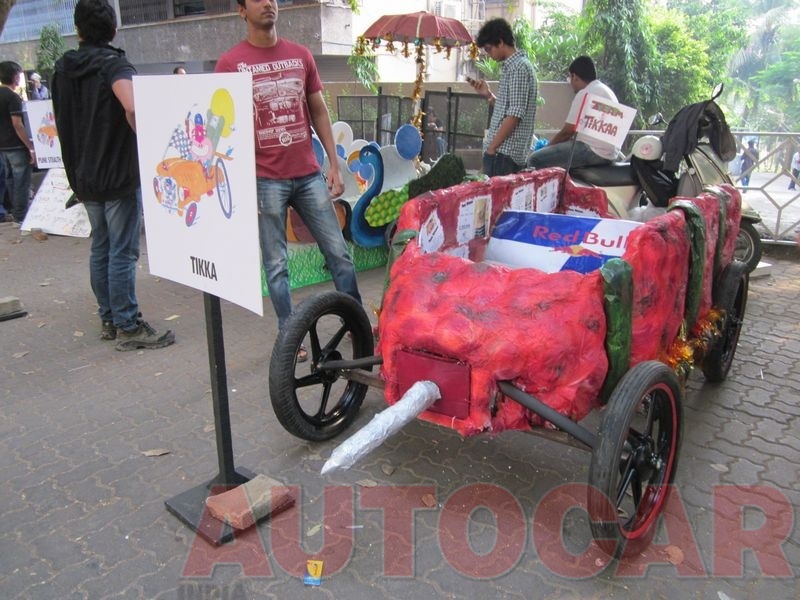 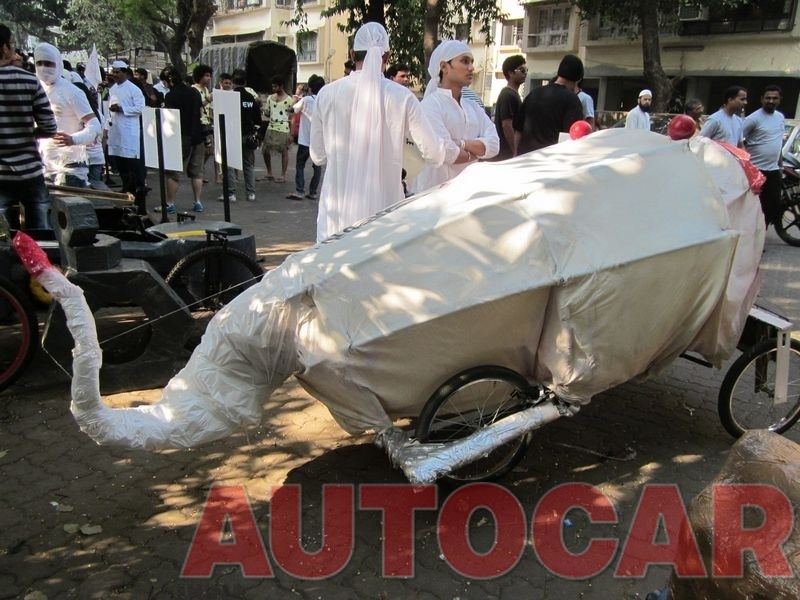 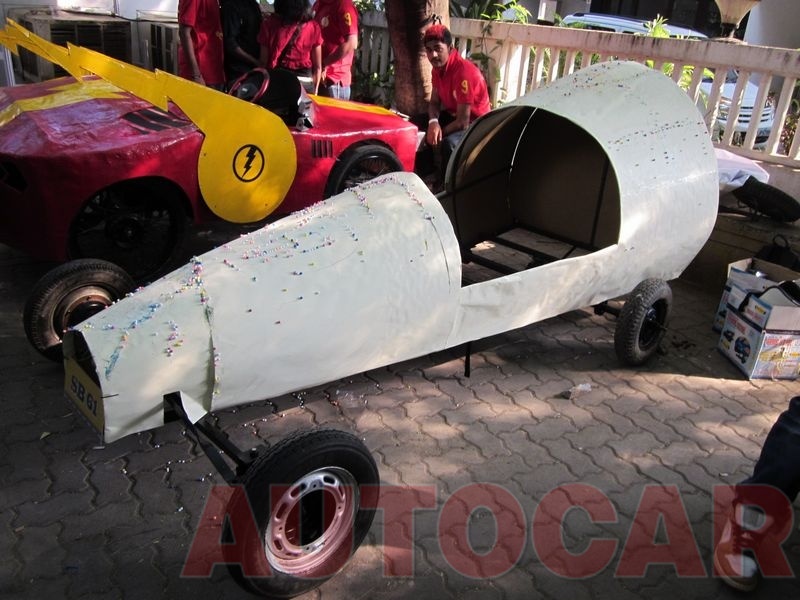 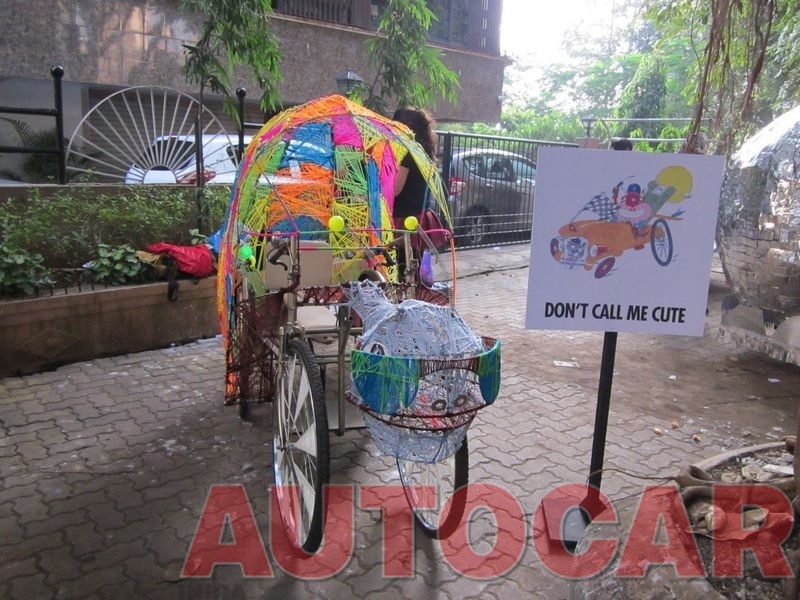 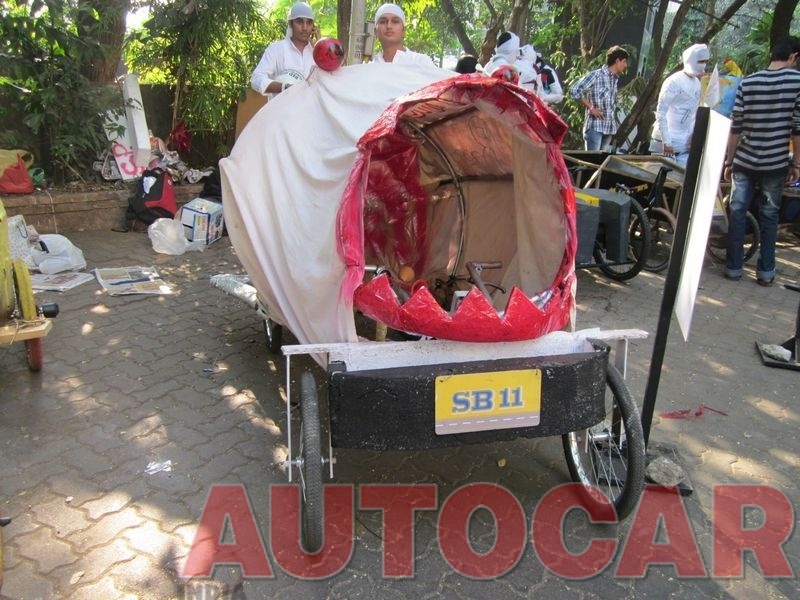 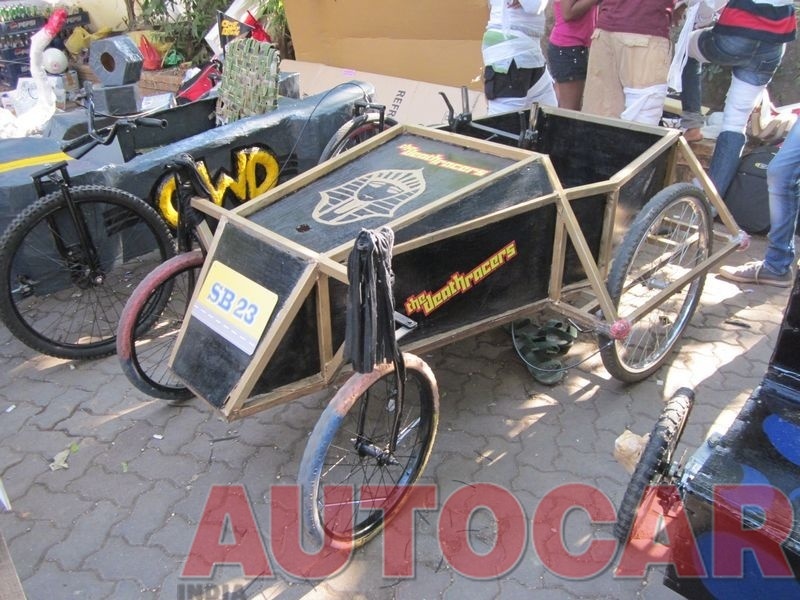 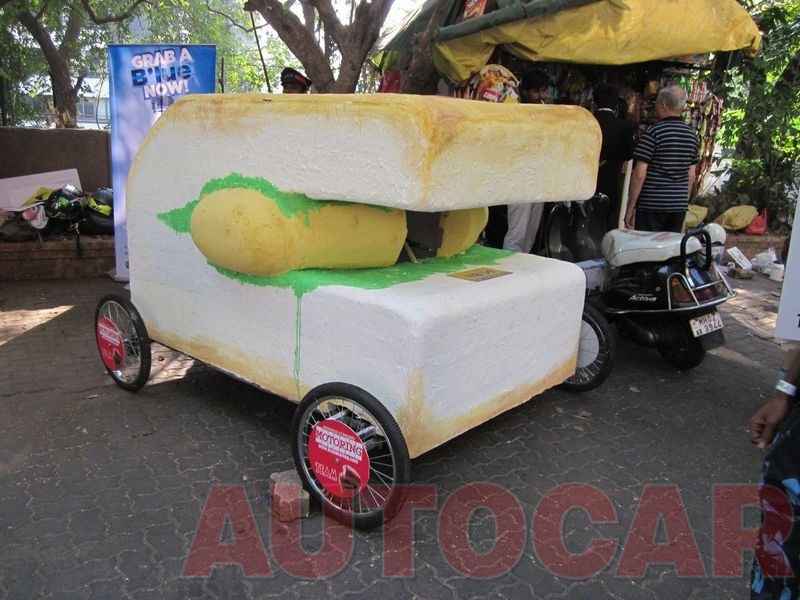 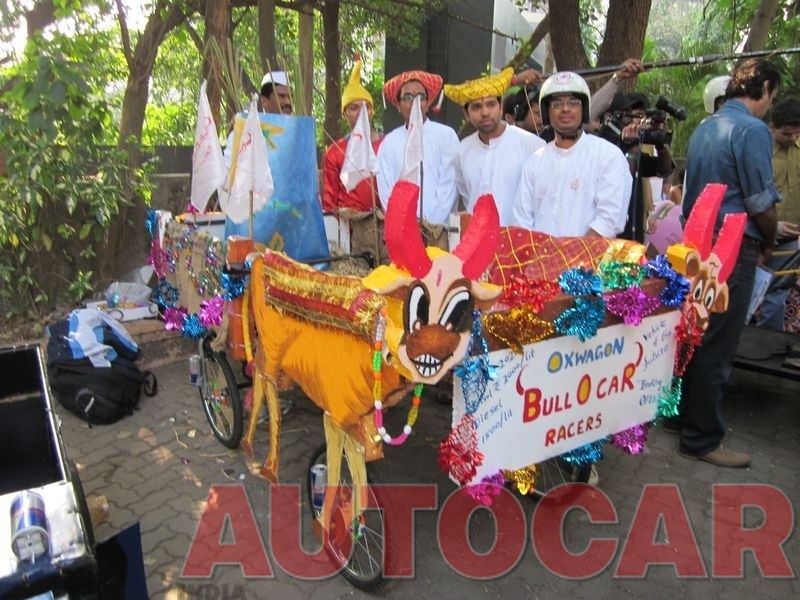 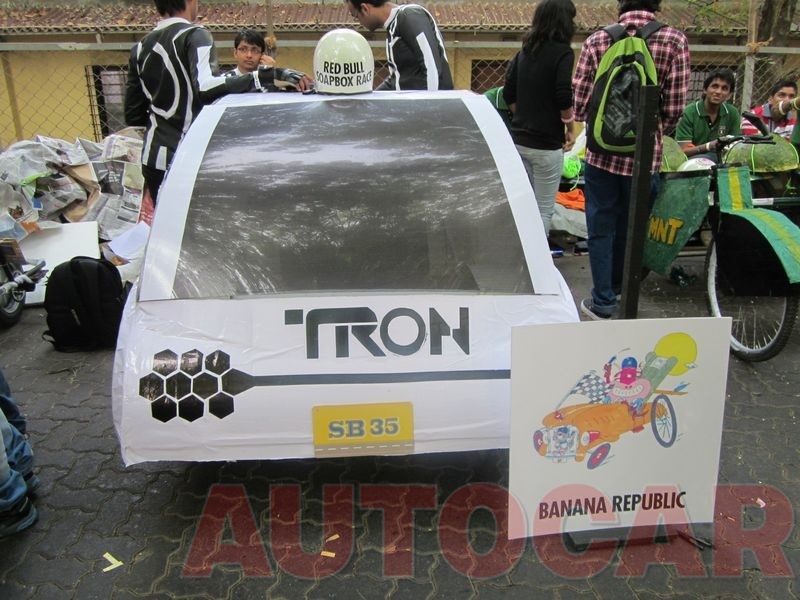 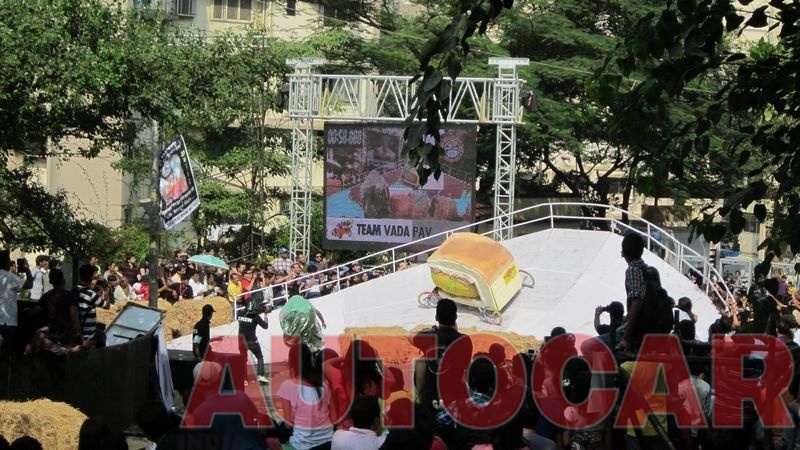 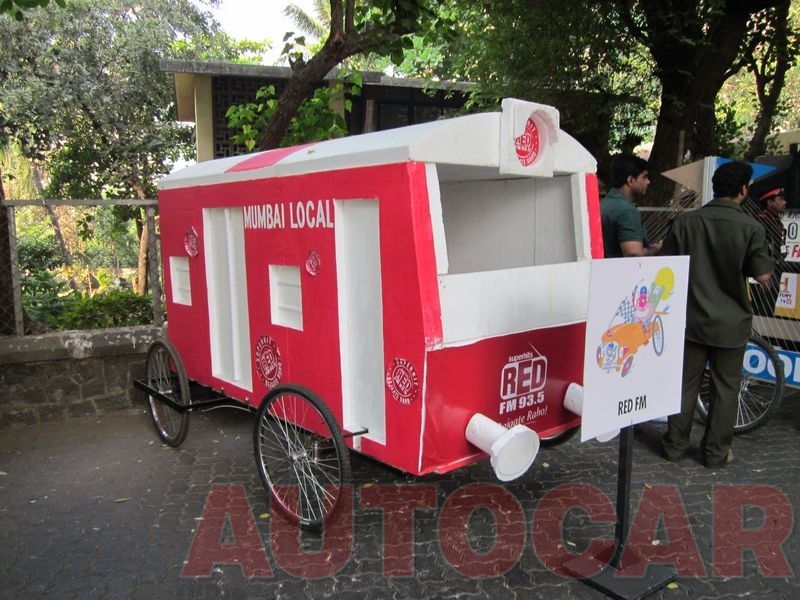 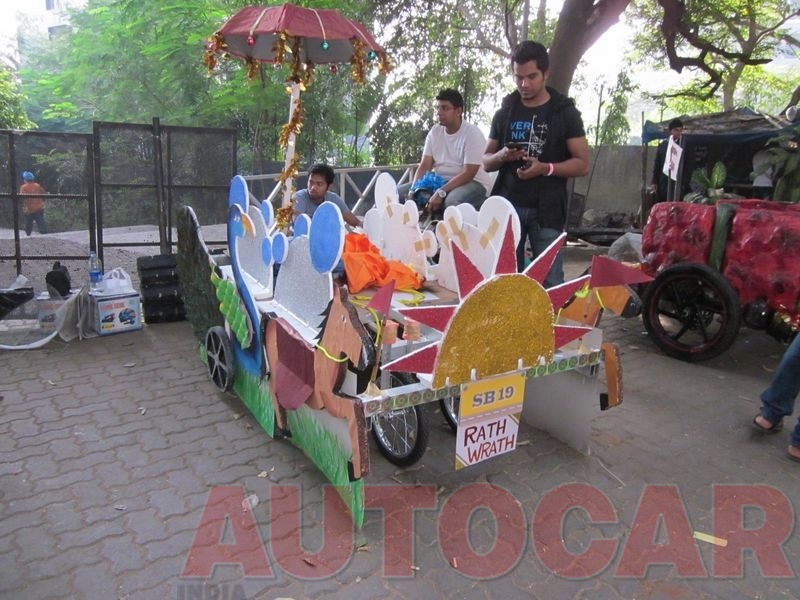 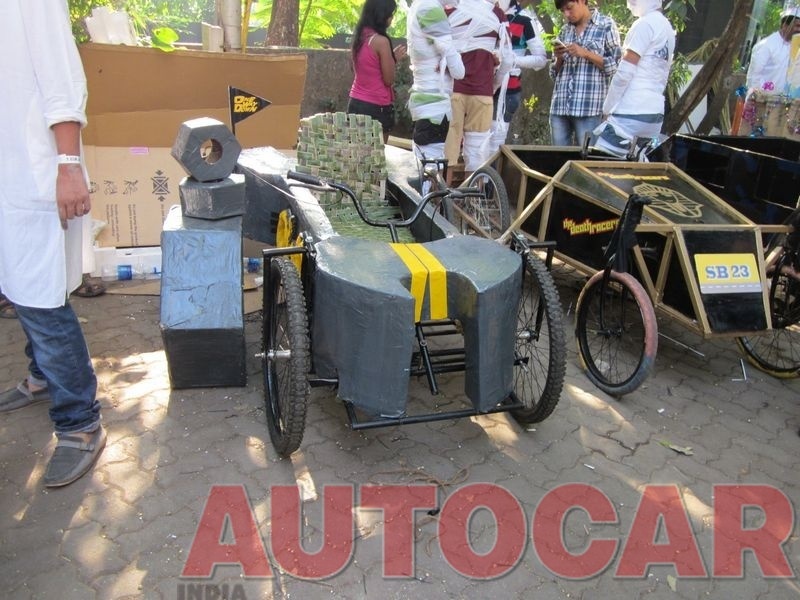 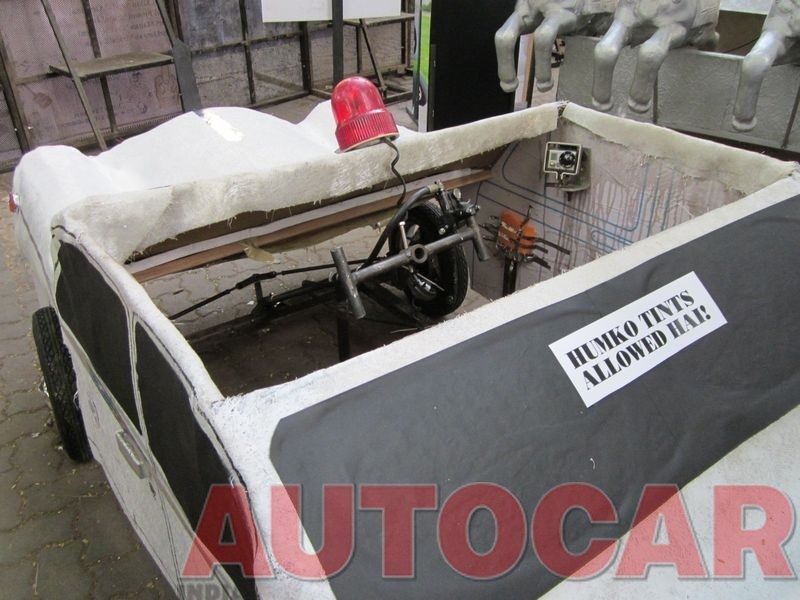 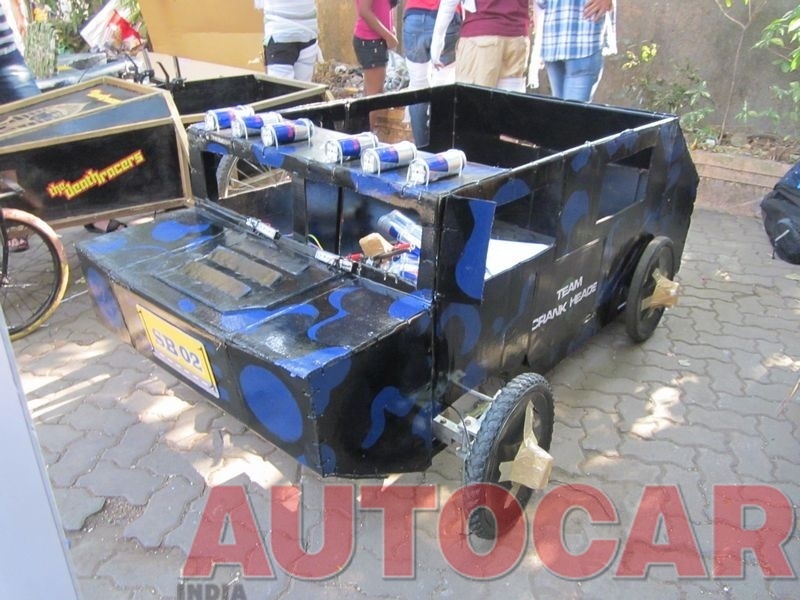 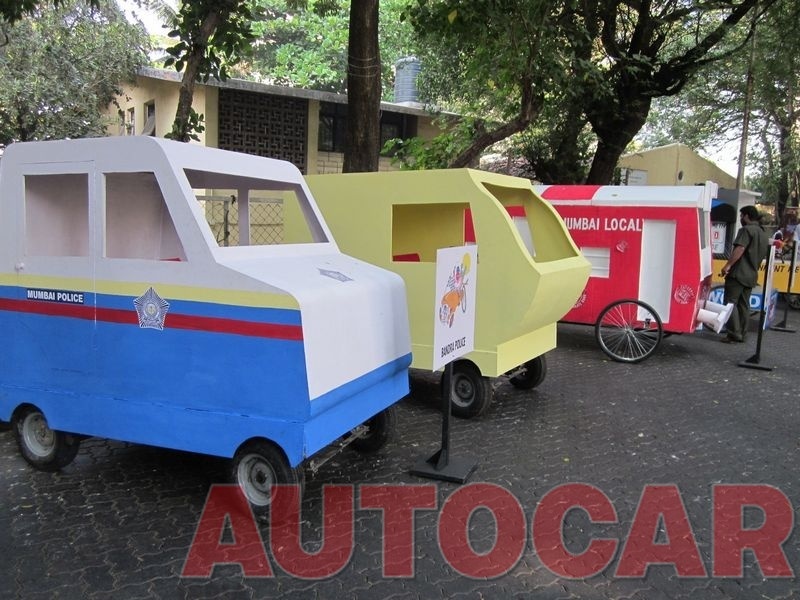 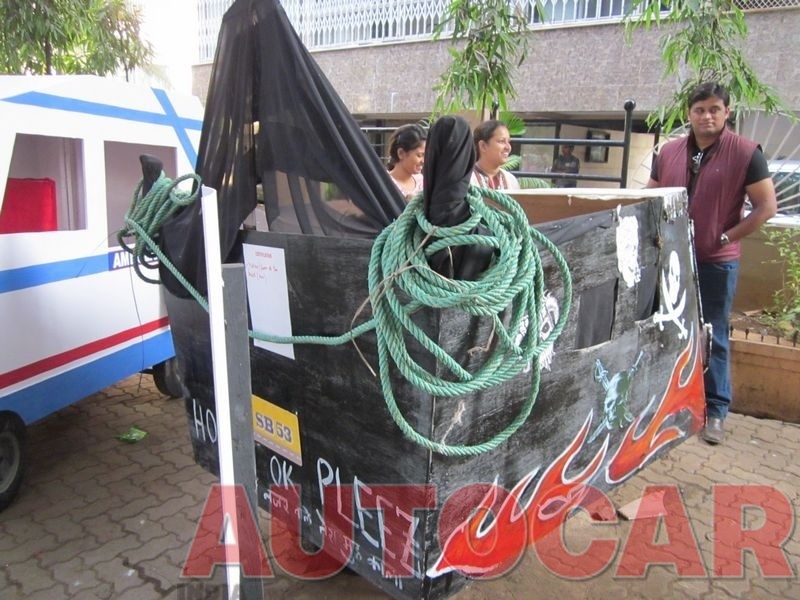 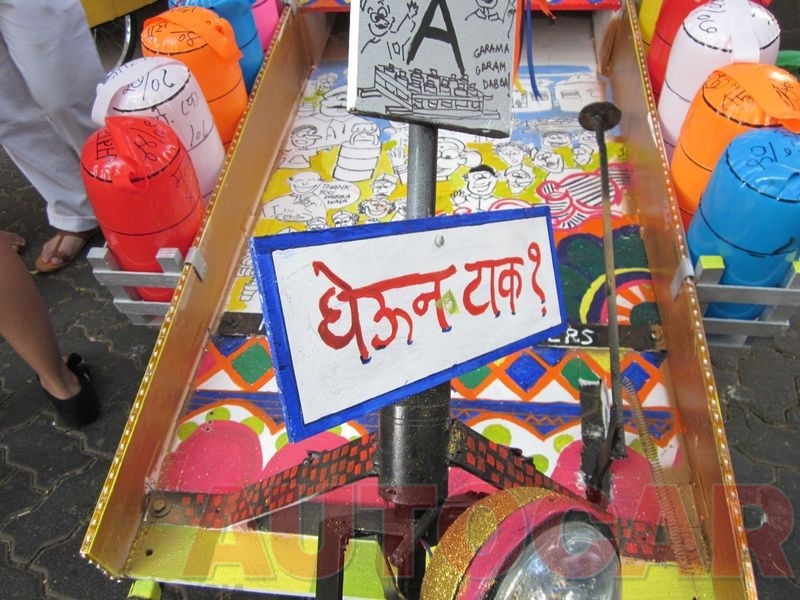 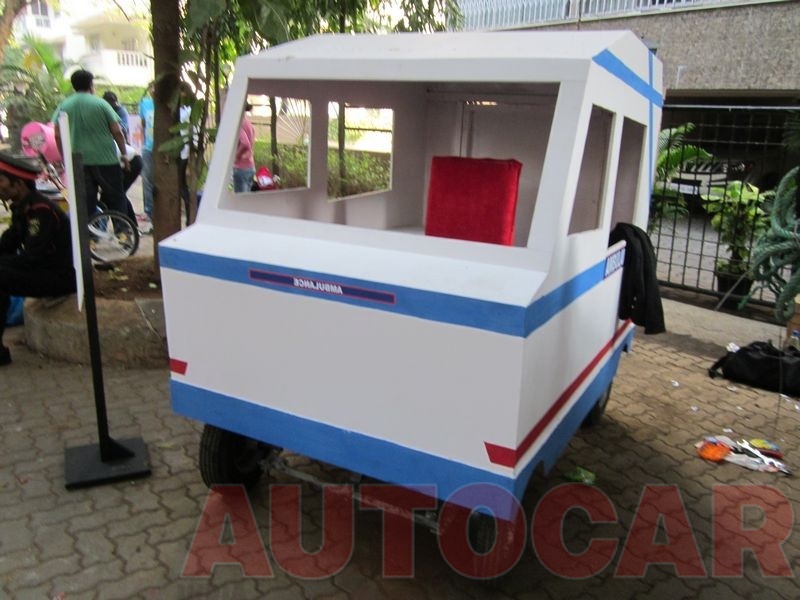 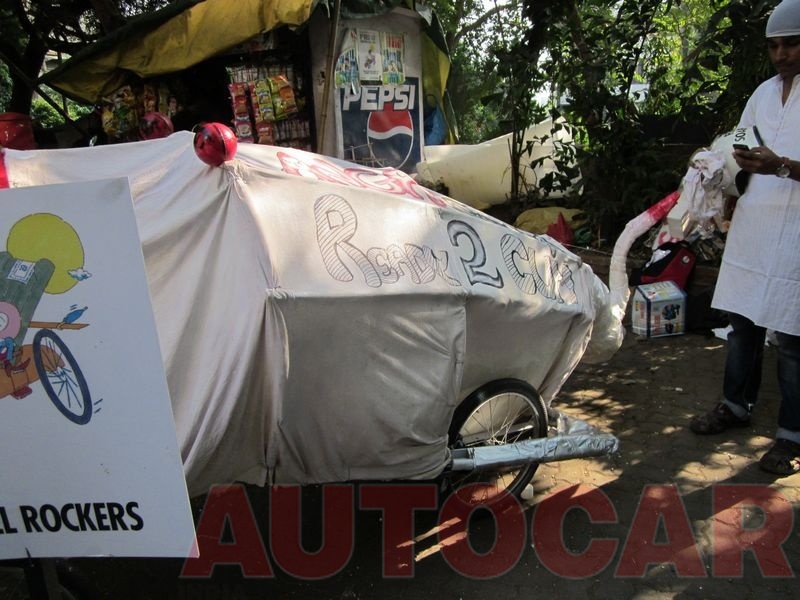 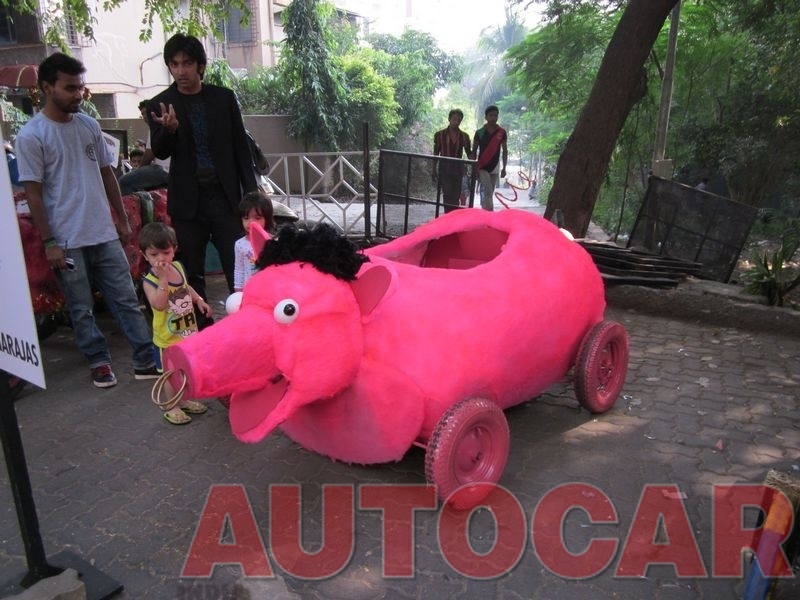 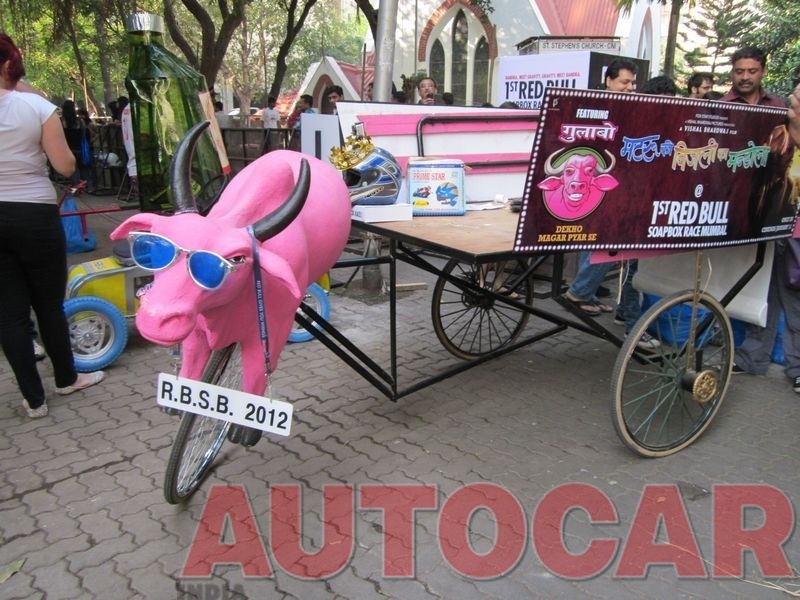 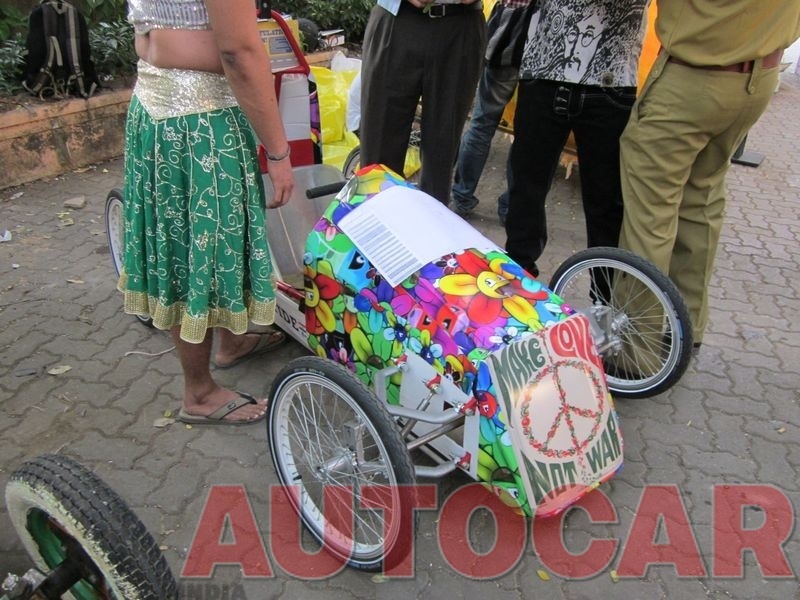 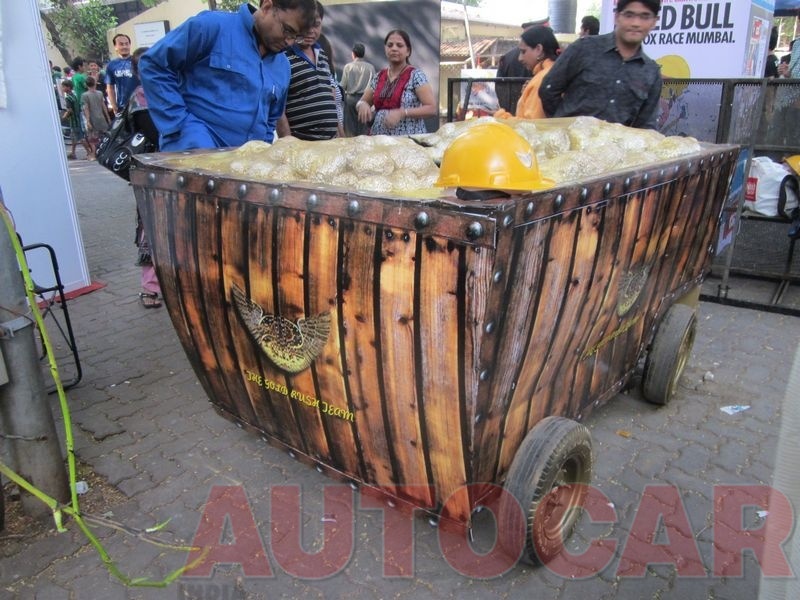 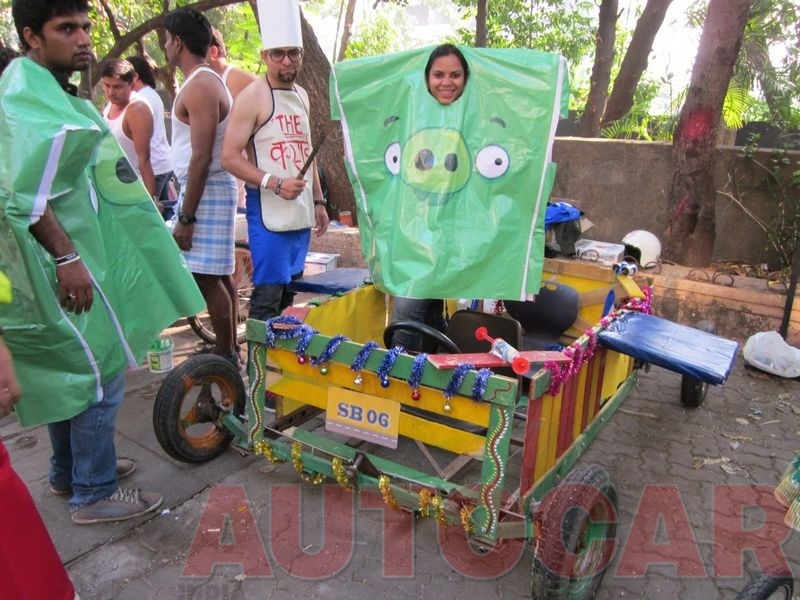 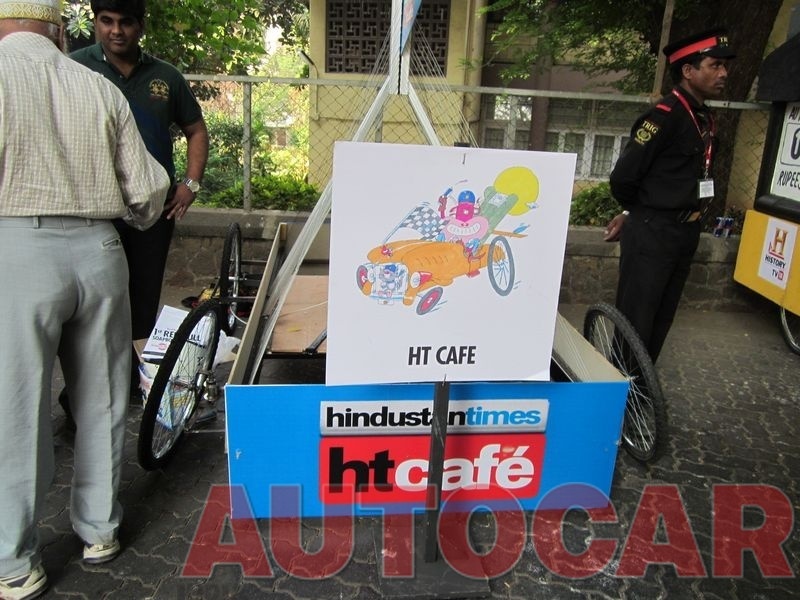 Mumbaikars got their first taste of Soapbox racing today. 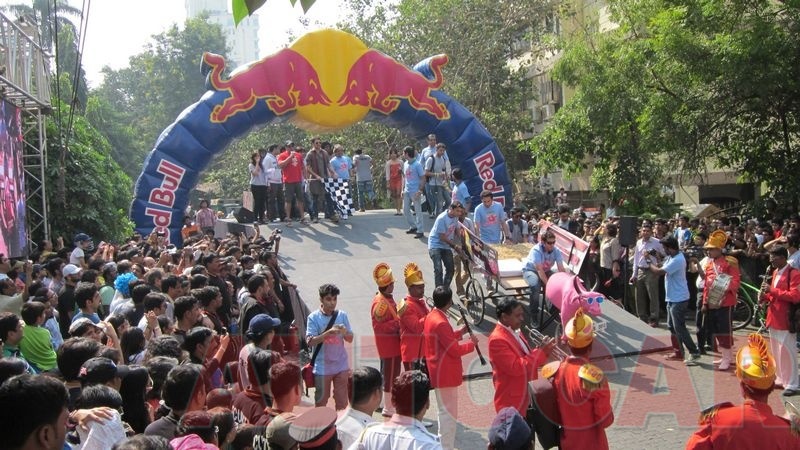 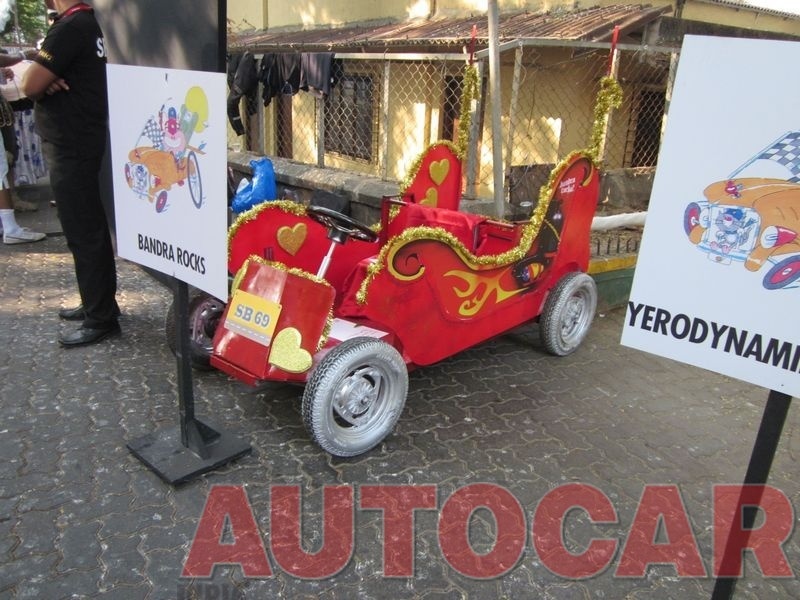 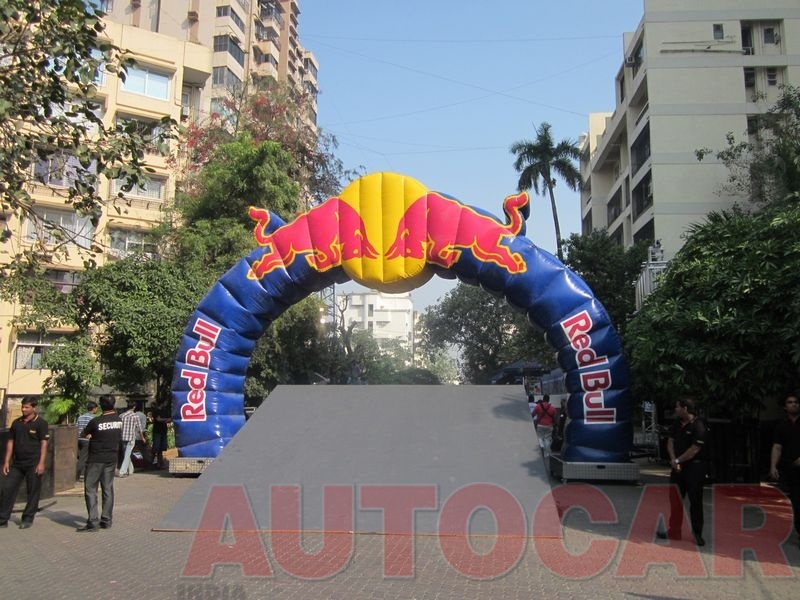 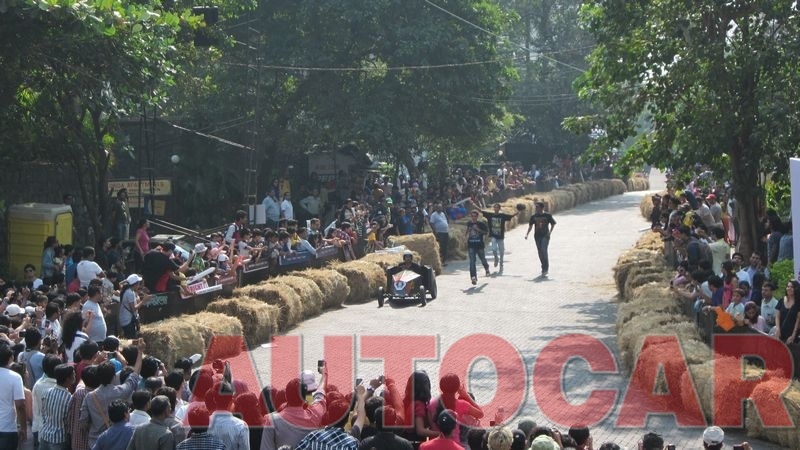 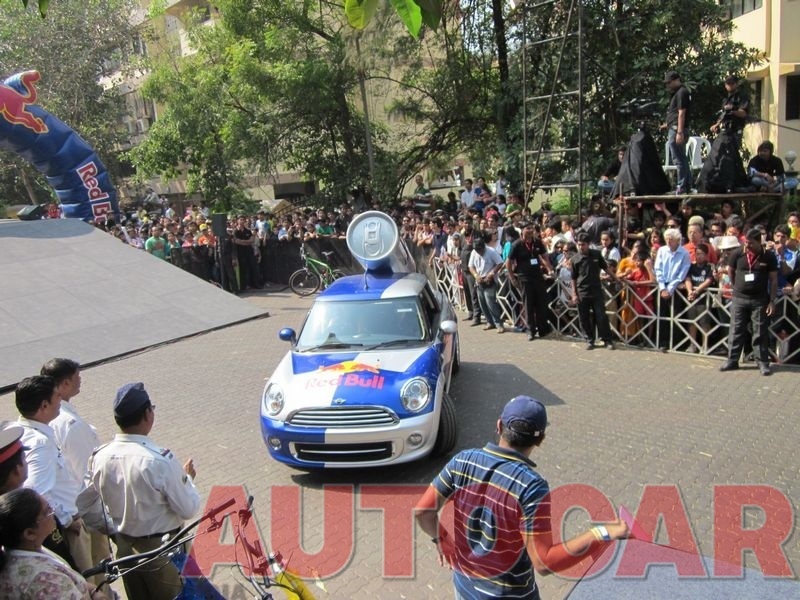 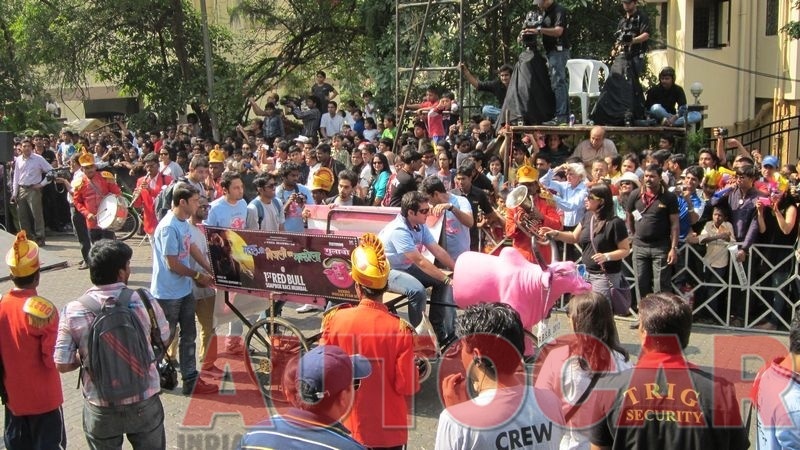 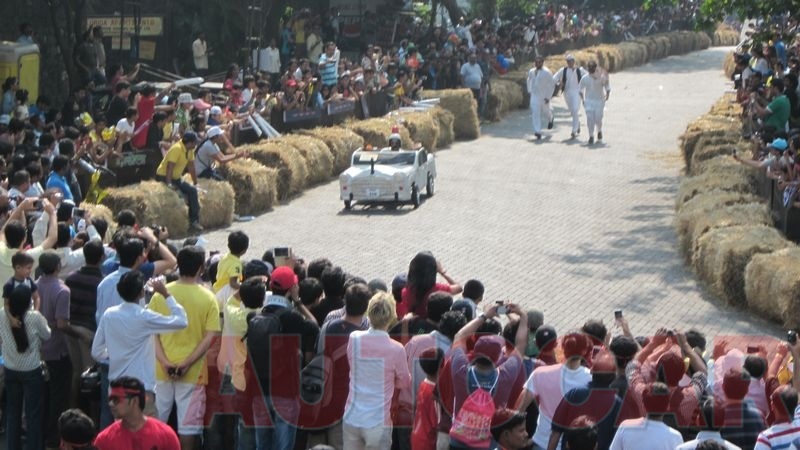 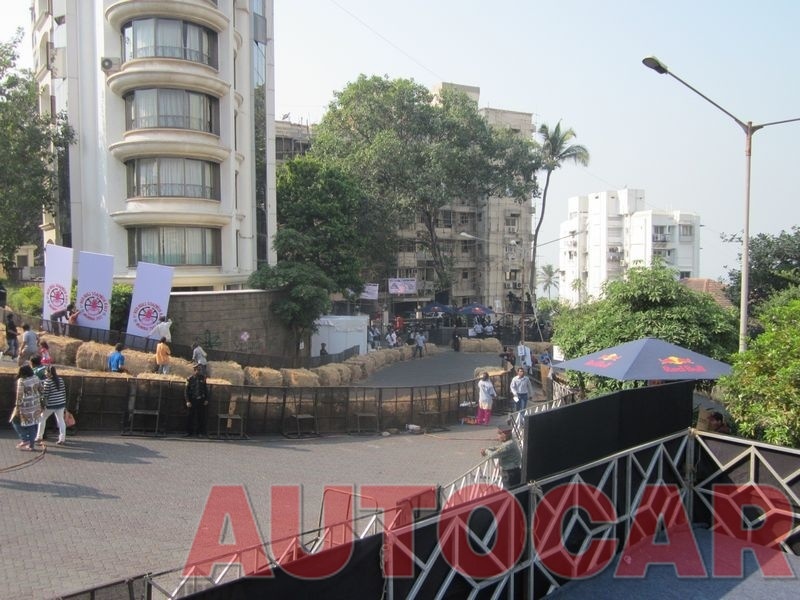 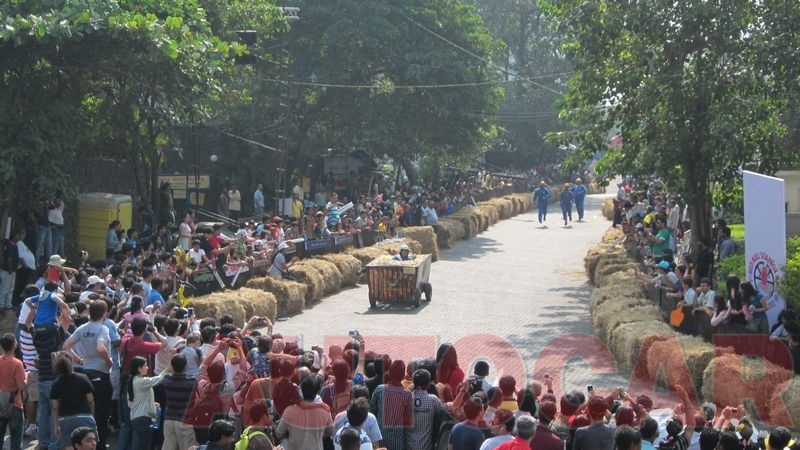 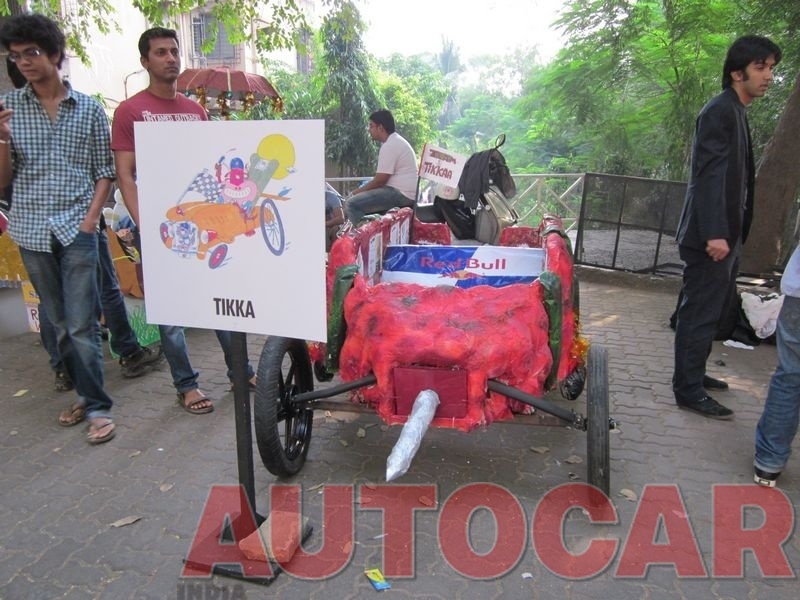 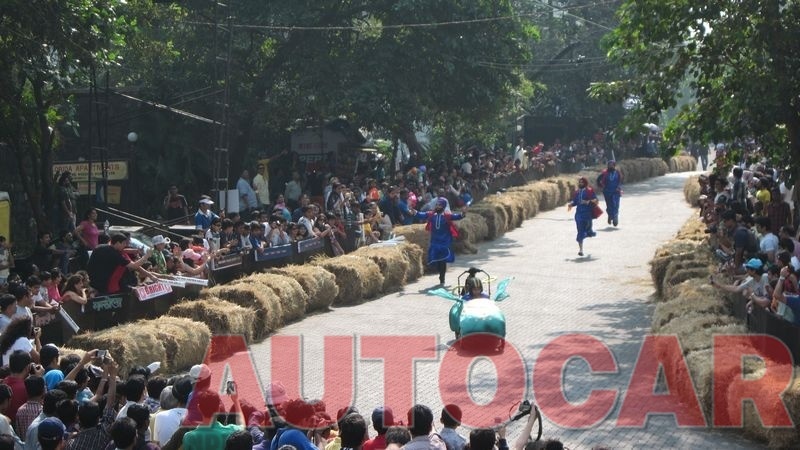 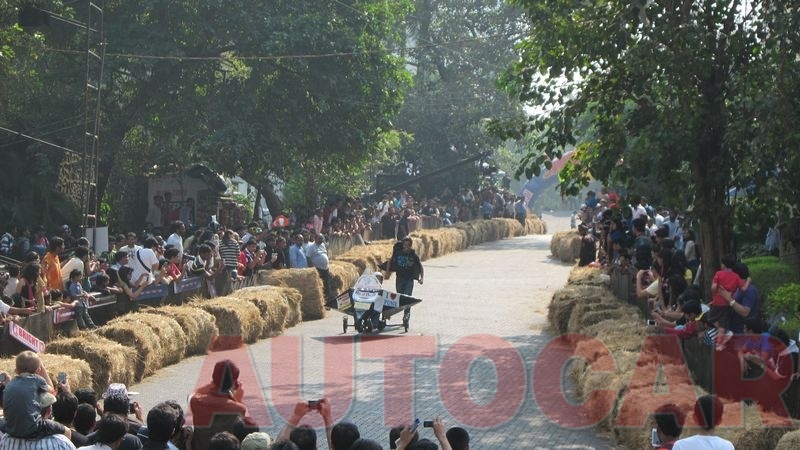 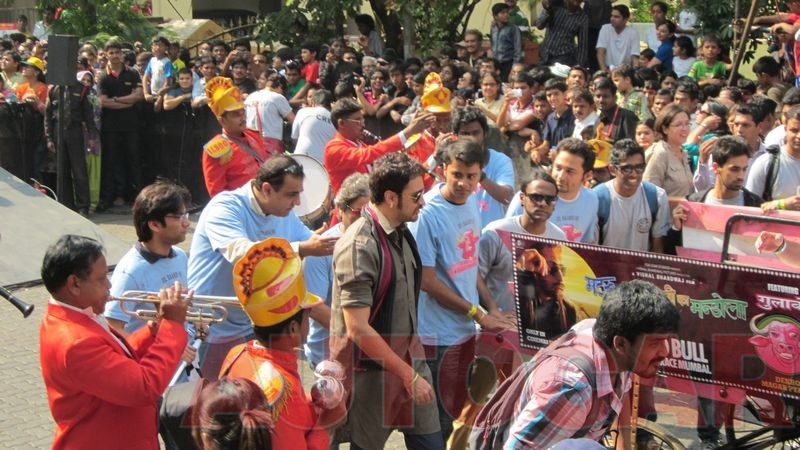 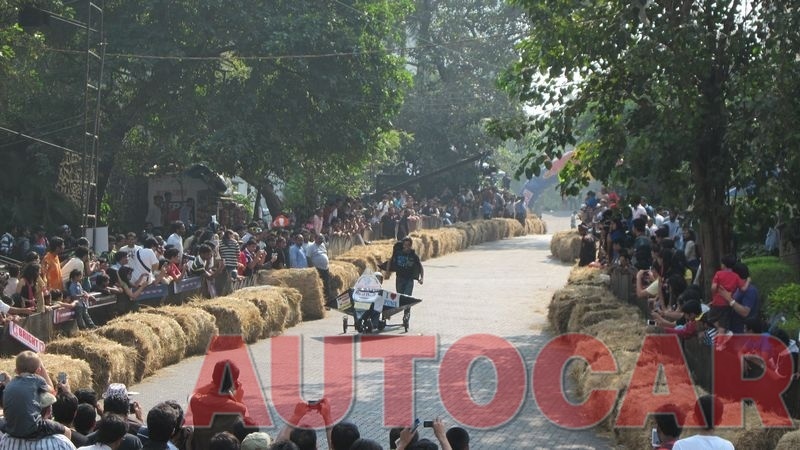 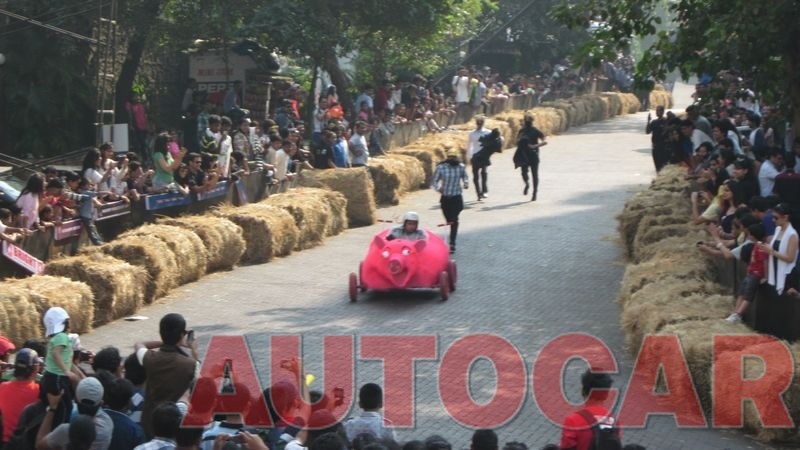 Red Bull hosted the first ever Soapbox Race in Mumbai today on the slopes of Mount Mary road at Bandra. 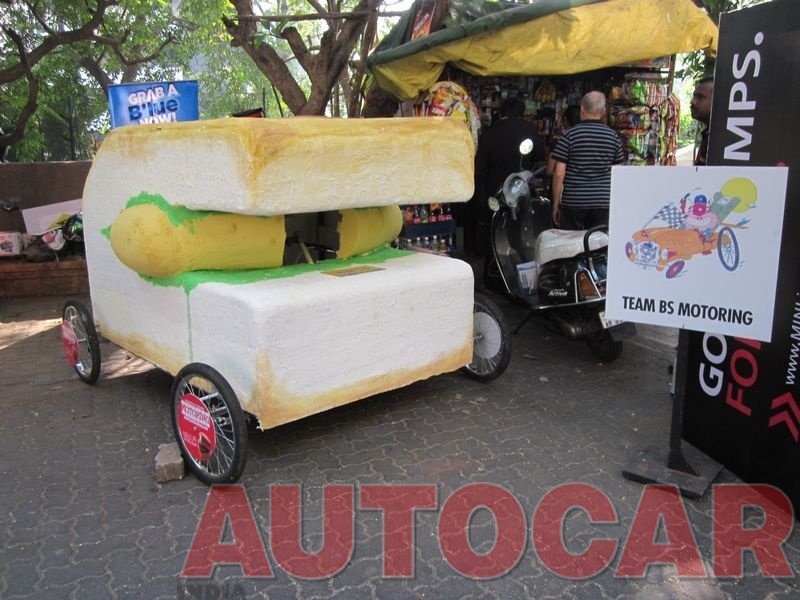 There were some superbly wacky designed cars with everything from a Star Wars ship to a Vada Pav and Chicken Tika on wheels. 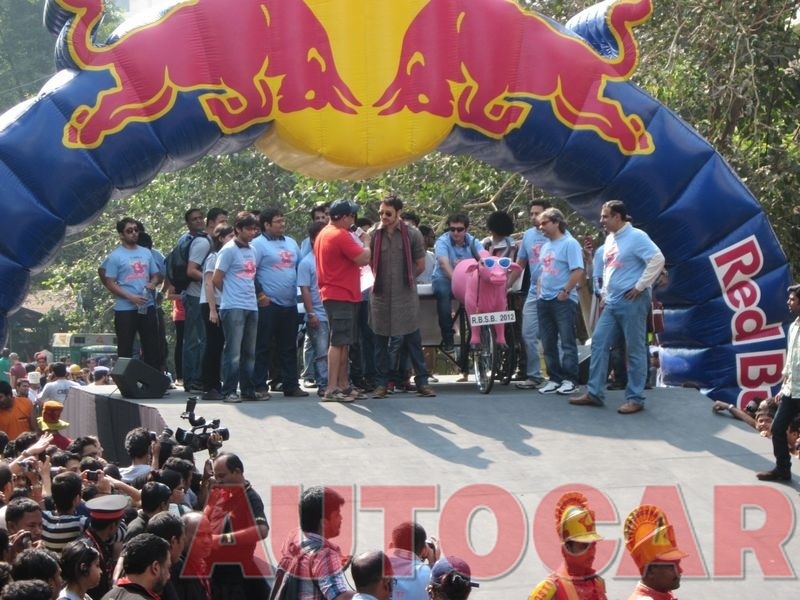 The race was flagged off by Bollywood actor Imran Khan and director Vishal Bhardwaj who had come to promote their latest upcoming movie. 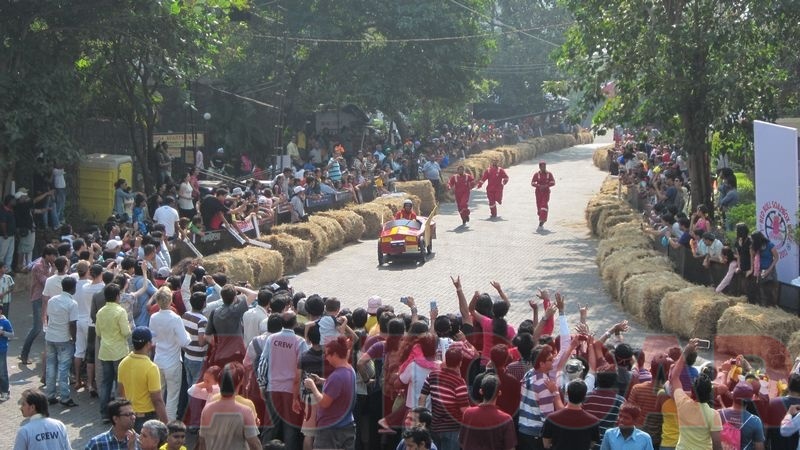 The crowds were colourful and it was superb to see such a turn out on a Sunday morning. 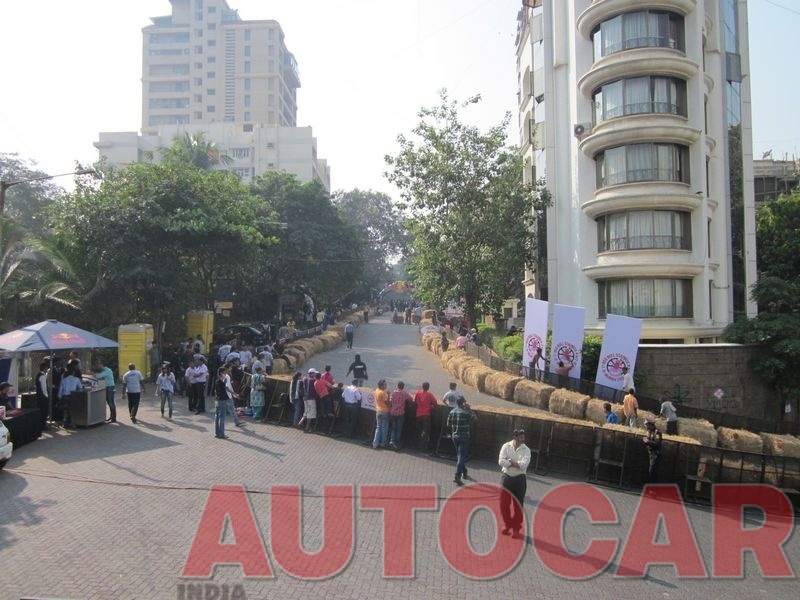 Here are the pictures I took at the event . 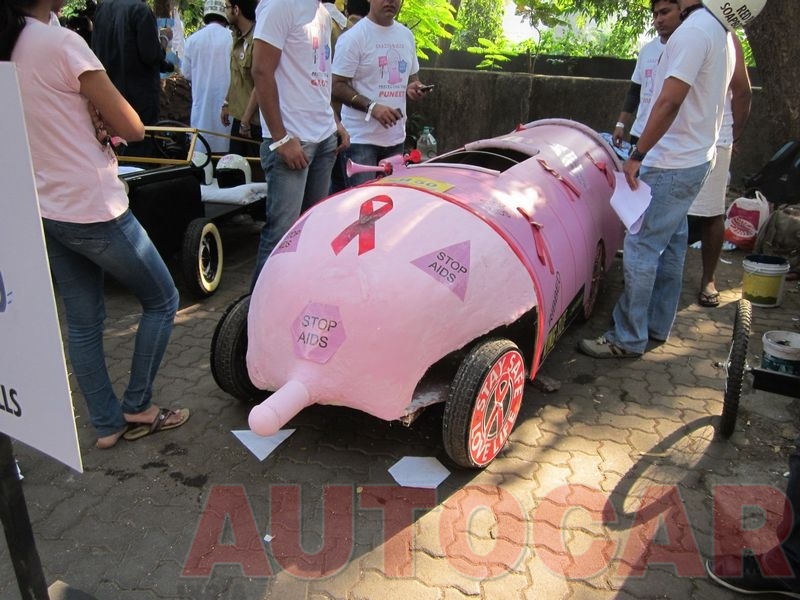 Though the racing pictures are not much I have manged to take pictures of every participant car at the Race. 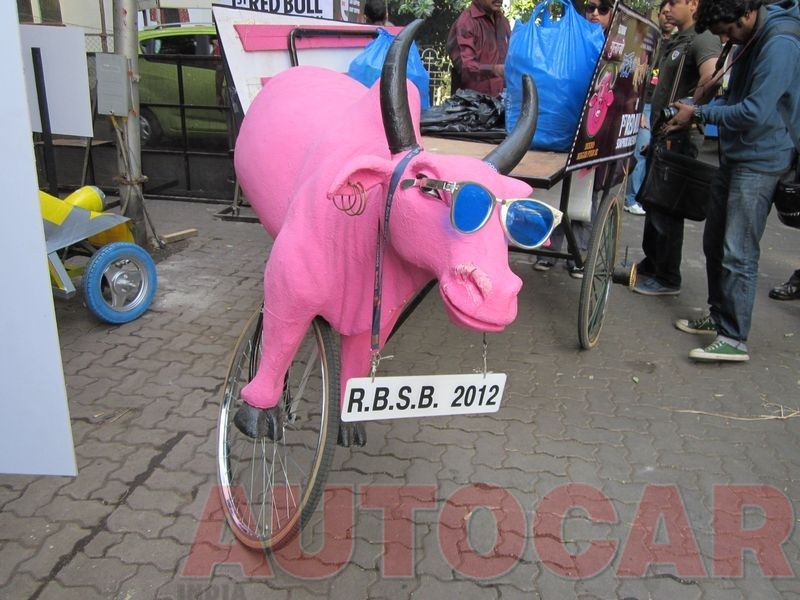 Supercool! 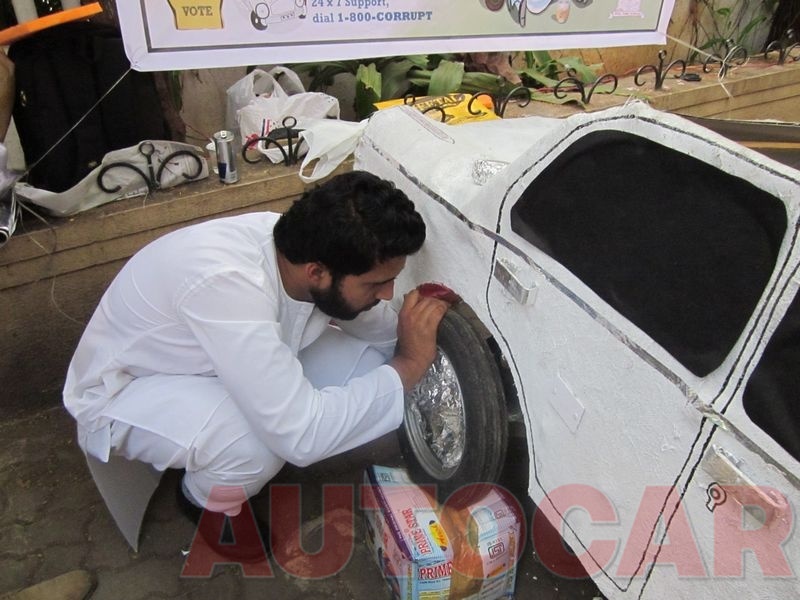 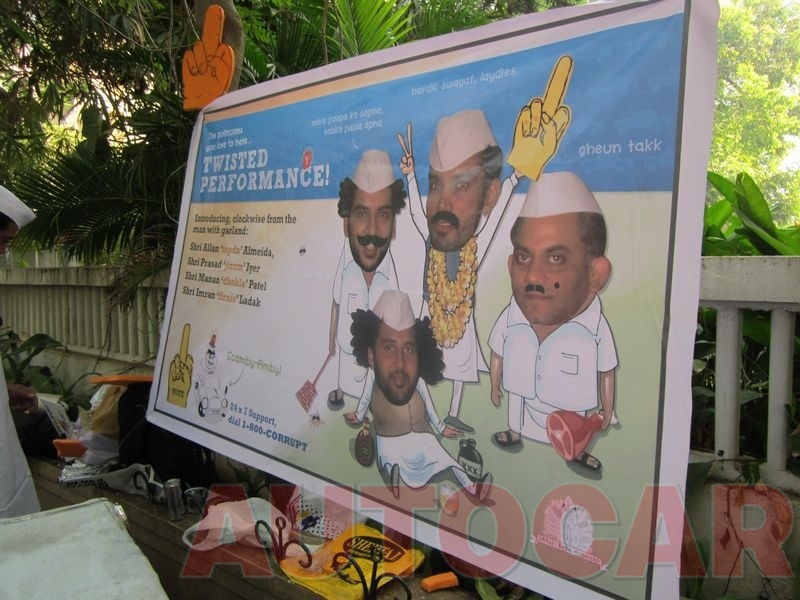 There was need of such event, where common man can show his creativity, that too without spending much money! 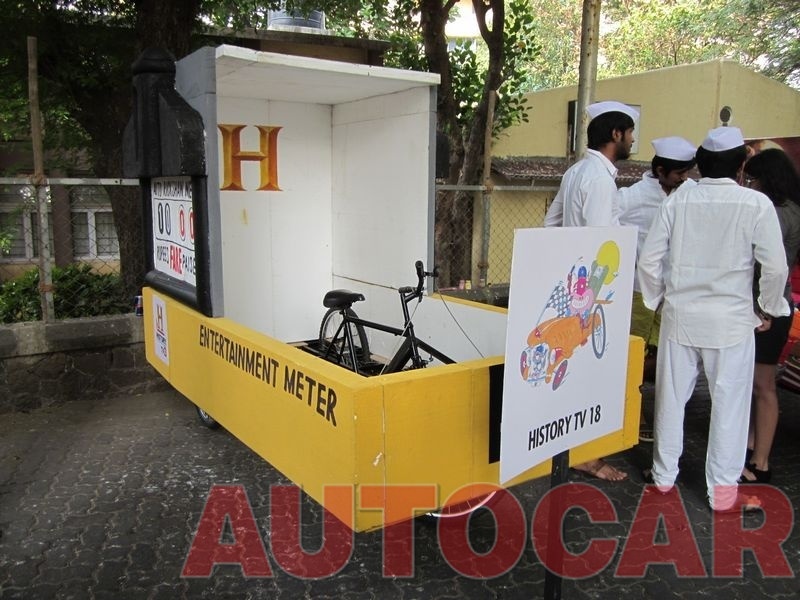 Just watched documentary about it on History TV 18! & I must mention that creativity of participants is also great!